Planning to do an internship? You’ve probably heard some things over the years that might deter you. But to be honest, there’s probably not a lot of truth to those rumors. Check out these intern myth busts to get the real story. Intern Myth #1: Interns do the grunt work. Not all interns are just coffee runners like you might see in the movies. Most interns will take on numerous large projects to complete by the end of their internship. As well as advancing their career skills in several different areas. Intern Myth #2: Internships are only in the summer. If you are someone who has a hard time committing your warm summer days off of school to a job, then a summer internship may not be in your best interest. And it doesn’t have to be! 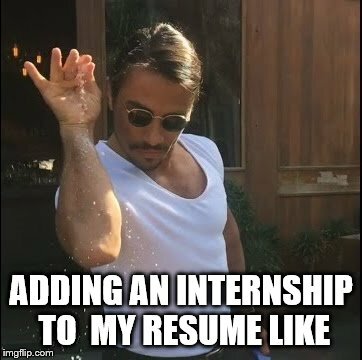 Internships can take place during the spring and fall as well. The only downfall is that your internship might have to be limited to the hours between school and other commitments. Some students even take a semester off and work a full-time internship during the school year. 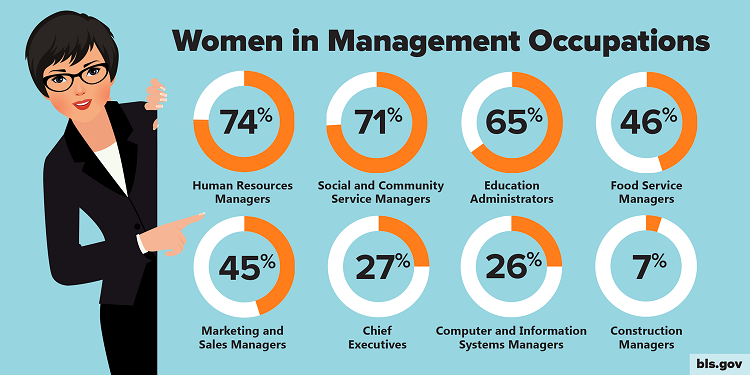 90% of Dr. Ella L. J. Edmondson Bell’s female Dartmouth MBA students said that they’d prefer a male manager. GALLUP found that both genders still preferred a male boss in 2014; 26% of men and 39% of women said they’d prefer a male boss if they were taking a new job. Meet SELRES_0.06106867207019939SELRES_0.8423662857099214Jason McAlister: Director of Animal Welfare at Triumph FoodsSELRES_0.8423662857099214SELRES_0.06106867207019939. 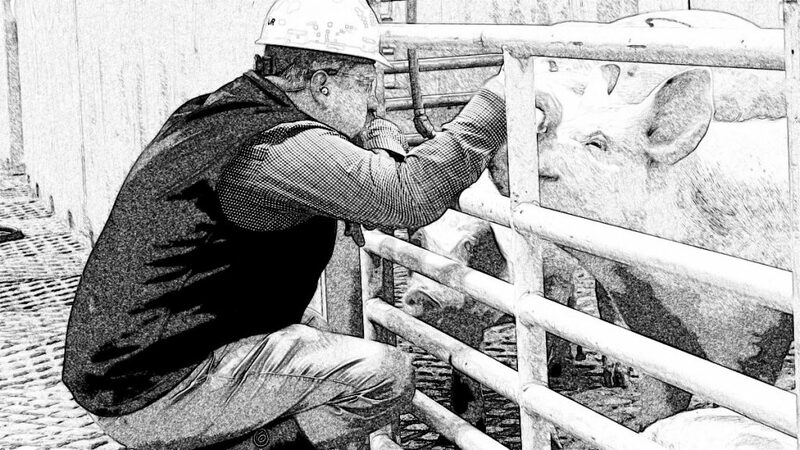 He is also known as “The Pig Whisperer” to many in the industry. He started his career at a small local locker plant in Iowa and since then, has climbed the ladder to attain his role that he has today. Jason talks about how he got to where he is now and how to get started in the Animal Welfare industry. What is your title and how long have you worked in your field? My title is Director of Animal Welfare at Triumph Foods in St. Joseph, Missouri. I have been in the live harvest field since 1993 starting in a local locker plant in Gilbertville, Iowa to IBP and Tyson. I was recruited by Triumph Foods in 2007. What made you want to become a Director of Animal Welfare? I have a passion for learning and passing my knowledge on to those around me. Leadership is a family trait; my Grandfather was a General Foreman for Firestone Tires. My father and mother both were managers and naturally I do the same. I think this is where my passion for training others comes from. The majority of my day is consumed with problem solving and interacting/training my employees. I start each day in the barns visiting with each employee followed by staff meetings and visiting support areas. I like to be seen in each department daily (HR, the clinic, employment, and accounting). Visits with these folks is sometimes required but mostly it is just team/relationship building when you depend on these teams to be successful it is important that they know you care about their needs and don’t just come around when you need something. 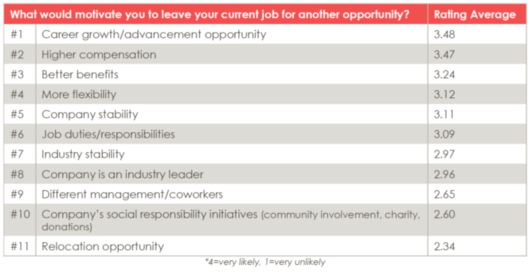 From the AgCareers.com Candidate Motivation & Behavior Survey. I fall into a unique age bracket where some people consider me to be a millennial and others consider me a member of Generation X, point being, I kept my first job out of college for nearly 13 years and that makes me a bit of an oddity. So, as you can imagine the choice to start exploring other opportunities was a daunting one. Speaking from my experience, below are some things to evaluate when deciding whether or not changing jobs is the right decision for you. Honestly, this made the top of my list because just recently I ran into someone I worked with in my previous career who asked if I was happy now that I have made a career change. My guess is the question came from her assumption that I wasn’t happy which led to my decision to make the change I did. This seems like a fair analysis, but there are so many components of a career that can make you happy or unhappy. Leadership, job duties, compensation, etc. According to the AgCareers.com Candidate Motivation and Behavior Survey, dissatisfaction with their boss or supervisor has a high level of correlation to the likelihood of that person changing jobs. 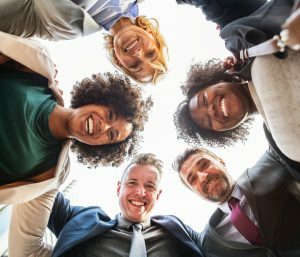 The same question shows that satisfaction with coworkers appears to have less impact on employees searching for another job. I will say for me, this was one of the things that kept me happy for many years in my career. I felt committed to my teammates as much as I did my supervisors. But when you reach a point when you are no longer happy with the direction of leadership, your compensation, or the day to day tasks of your job, then it is probably time to explore a change.